Windshield damage doesn’t just negatively affect visibility, it can seriously compromise your safety. It isn’t always immediately evident either. Sometimes it’s not until it is dark, or rainy, that your windshield becomes a serious hazard. If your windshield is scratched, cracked, broken, chipped, or otherwise damaged, don’t wait until your safety is at risk. 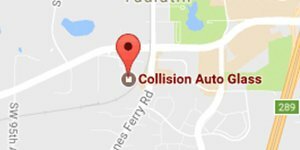 Get a quality windshield replacement in Oregon City from the trusted local experts at Collision Auto Glass. We do the job correctly by using the best materials and only employing certified installation technicians. Protect yourself and your passengers. 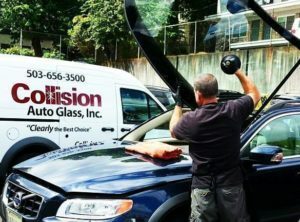 Mobile Windshield Services – Damage doesn’t operate on a schedule. A crack can spread, a chip can compromise visibility, and you may not be able to make it into a shop. Life can also get in the way, and replacements aren’t always convenient. With our mobile windshield and rock chip repair services the replacement comes to you. 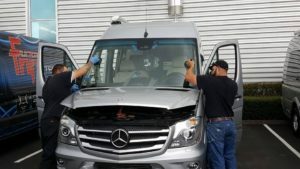 We can provide on-site windshield services that match the installation quality of our in-shop service. Best of all? Our mobile services don’t cost extra. 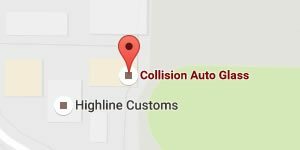 Come To Our Shop – We have a permanent facility in Portland that’s equipped to provide accurate and fast windshield replacements. It houses our auto glass and is carefully laid out to for efficiency. Coupled with commercial grade performance tools, our technicians can finish your replacement even faster. This allows us to frequently provide same day service. No matter where we work on your vehicle, the job is always performed by a SIKA & DOW certified technician. OEM quality replacement parts: Every part we use is built to meet or exceed original specifications. That means you get manufacturer approved protection. OEM quality adhesives: Adhesives secure your windshield and protect against leaks. We use the tough industry leading SIKA urethane for the strongest hold. Free mobile services: We don’t charge you any additional fees for mobile services. Don’t pay more for less. Choose the company that comes to you, free of charge. Free glass disposal: Companies love add-on fees, and glass disposal is frequently used as an up-charge. We love the environment and we recycle your old glass at no extra cost. Same day service: Certified technicians elevate our standards for workmanship while delivering quality same-day installations. We replace windshields on all foreign and domestic vehicles! The newer the vehicle, the more advanced the safety mechanisms. Even windshields may contain extra features for a more secure fit, greater visibility, or more aerodynamic design. That means specific vehicle models may need a little extra attention. Our technicians know which vehicles do, and how to correctly replace the windshield. If moldings or clips need replacing, we do it. This keeps you covered whether you drive a classic, commuter, performance vehicle, or something in-between. Get a secure, safe, and correctly performed windshield replacement today. Our customer service center is available 24/7, so call any time. Whether you want to schedule a replacement, or need emergency help in Oregon City, we’re here for you. Don’t wait, call or contact us now. Please include any customizations or parts that we should be aware of. © 2019 Collision Auto Glass. All Rights Reserved.